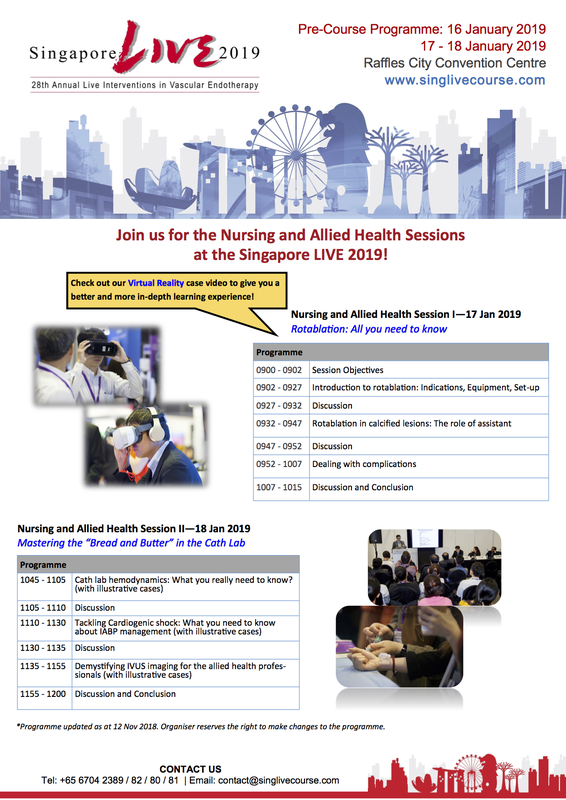 This year's edition of the Nursing and Allied Health session is shaping up to be a highly educational and exciting one! Many pertinent topics to nurses and allied health professionals will be covered: "bread and butter" skills and knowledge on hemodynamics, IABP and IVUS for the Cath Lab. There will also be a detailed step-by-step session on rotablation covering all the important points on the procedure. The talks will be delivered by experienced practitioners in the field and will include many practical pointers.